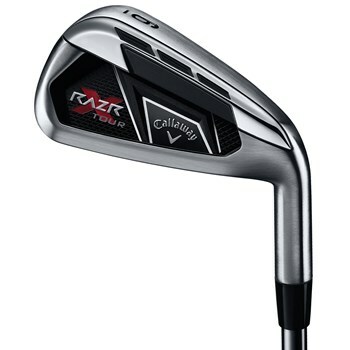 • RAZR Technology shifts the center of gravity 23% lower and 18% deeper for enhanced playability, while also maintaining the turf interaction advantages and workability of a thin-sole iron. • VFT Face and High-Definition Undercut cavity are tuned to each individual iron. The result is more consistent ball speeds across the face for more distance and accuracy, even on miss-hits. • Smaller profile with less offset and a thinner topline for a sleeker look at address.